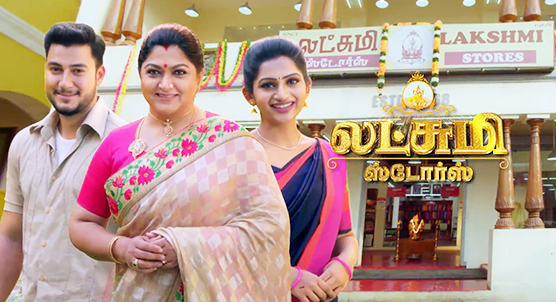 Lakshmi Stores is a family drama serial on SunTV. Mahalingam is the family’s patriarch and founder of the traditional textiles showroom, Lakshmi Stores, but guilt stricken with a past secret. His daughter-in-law, Mahalakshmi, nurtures the family and the close-knit staff with her selfless love. But she gets disowned by her husband, when she seeks justice for Bhakiyalakshmi, a kind-hearted young woman and earns the wrath of a vengeful MP Shakunthaladevi, as well. Now Mahalakshmi is faced with an uphill task to save Lakshmi stores and reunite with her family.